Mcintosh, R. Dale and Betty Nygaard King. "Tommy Banks". The Canadian Encyclopedia, 26 January 2018, Historica Canada. https://www.thecanadianencyclopedia.ca/en/article/tommy-banks. Accessed 19 April 2019. The Honourable Thomas Benjamin Banks, OC, AOE, pianist, conductor, arranger, composer, TV personality, actor, producer, politician (born 17 December 1936 in Calgary, AB; died 25 January 2018 in Edmonton, AB). Jazz musician Tommy Banks (photo by Ed Ellis). The Honourable Thomas Benjamin Banks, OC, AOE, pianist, conductor, arranger, composer, TV personality, actor, producer, politician (born 17 December 1936 in Calgary, AB; died 25 January 2018 in Edmonton, AB). The multi-talented Tommy Banks has had an unparalleled, multi-faceted career spanning more than 60 years in virtually every aspect of the entertainment industry in Canada. A professional jazz pianist at age 14, he went on to lead his own bands, conduct symphony orchestras around the world, direct musical ceremonies at international events, host his own long-running television show, and act in film and television. He also served nearly 12 years in the Senate as a member of the Liberal Parliamentary Caucus. Tommy Banks studied piano as a child and began his career at age 14 in jazz saxophonist Don Thompson’s band. Banks was music director of the Orion Musical Theatre in Edmonton (1954–58), and also led his own groups in performances in Western Canada and the United States. In 1967, he led a jazz quintet at Expo 67, and produced and directed the first of several Klondike Follies for Edmonton's Klondike Days. From 1960 to 1968, he accompanied many pop performers as a pianist or orchestra conductor in Edmonton, rising to the forefront of pop music in Alberta and becoming a major force in Western Canada. He was host, pianist, arranger and conductor for The Tommy Banks Show, a TV talk show broadcast on CBC TV (1968–74; 1980–83) and in syndication originating from CITV Edmonton (1974–76). He also starred on Celebrity Revue, a TV variety series produced in Vancouver for syndication in the late 1970s, and acted in dramatic roles in National Film Board and feature film productions. Banks was the coordinator (and occasional guest conductor) of the Edmonton Symphony Orchestra’s pops programs, featuring such performers as Vicki Carr, Aretha Franklin, Engelbert Humperdinck and Tom Jones; the programs were filmed by CITV for syndication throughout North America. He filled a similar role in the late 1970s for a series with the Montréal Symphony Orchestra, starring the French composer Michel Legrand, and with the Hamilton Philharmonic Orchestra featuring American singer Jack Jones. He also conducted orchestras in recordings by such singers as Ed Evanko, Clarence “Big” Miller and Judi Singh, as well as many rock and country acts. He served as guest conductor (usually in pops concerts) of symphony orchestras in Toronto, Winnipeg, Regina, Saskatoon, Calgary, Vancouver, Budapest, Memphis and many others, as well as the National Arts Centre Orchestra in Ottawa. He served as music director of ceremonies at the Commonwealth Games (1978) and the World University Games (1983) in Edmonton, Expo 86 in Vancouver, and the 1988 Winter Olympic Games in Calgary, as well as for the state visits of President Ronald Reagan, Pope John Paul II and Queen Elizabeth II. Banks was renowned for both his skill and speed as an arranger. He wrote and arranged music for his big band and composed the musical fantasies The Lady That's Known as Kate and The Gift of the Magi, which were performed by the Edmonton and Regina symphony orchestras. 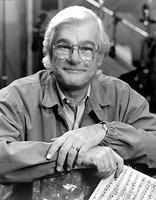 He also composed the score for the CBC production of Pierre Berton's Klondike, and wrote and produced many jingles. In the 1970s, Banks occasionally hosted the CBC's Jazz Radio-Canada, which also regularly featured his jazz quartet and big band. The big band, with Miller, P.J. Perry and others, performed at the 1978 Montreux Jazz Festival in Switzerland; a double LP of its concert there won the Juno Award for Best Jazz Album. In 1983, Banks’ quintet travelled to Japan, Hong Kong and Malaysia, and became the first foreign jazz group to tour China. During the 1980s, Banks also appeared in a variety of settings at Jazz City — with his big band in 1980, with Big Miller in 1981, accompanying Anita O' Day in 1985, and with the Jazz City All Stars in 1987. As a member of the New Orleans Connection he toured Canada and Europe during the early 1990s. He continued to conduct his own big band until 2003. Various Banks groups played on albums made between 1962 and 1977 for the CBC's RM and LM broadcast series (listed in the Canadian Jazz Discography). Banks also recorded with P.J. Perry and, in the 1990s, recorded albums (including his first solo piano album) on his own Century II label, distributed by Royalty Records. The latter company also re-issued Jazz Canada Montreux 1978. Banks became actively involved in politics in the early 1980s, though he never served as an elected official. He served two consecutive terms as a member of a Sectoral Advisory Group, International Trade (SAGIT), which advised the federal government during negotiations for the North American Free Trade Agreement (NAFTA). In 1995, he was Alberta spokesman in the campaign for the national referendum on constitutional amendment. With Professor Kathleen Mahoney, he argued the “yes” side against Stephen Harper and Mel Hurtig on the referendum’s televised debate. After Banks was appointed to the Senate in 2000, he ceased working as a producer and pianist and focused on his responsibilities in the Liberal Parliamentary Caucus. He served as a member of the Standing Committee on National Finance, the Special Committee on Illegal Drugs and the Standing Committee on National Security and Defence (SCONSAD), and as chair of the Subcommittee on Veterans’ Affairs. He was elected chair of the Standing Committee on Energy, the Environment and Natural Resources three times, and twice served as chair of the Alberta Liberal Parliamentary Caucus. He also authored or sponsored a number of laws, including the Canada National Parks Act (2000), the Statutes Repeal Act (2008) and the Canada National Marine Conservation Act (2001). His Senate term ended in December 2011 when he reached the mandatory retirement age of 75. Banks is a member of the American Federation of Musicians, ACTRA, the US National Academy of Recording Arts & Sciences, the Canadian Academy of Recording Arts and Sciences, and the Academy of Canadian Cinema & Television. In 1999, Edmonton named a street Tommy Banks Way in his honour. In 2010, he received SOCAN's special achievement award for his contributions to Canada's music industry and musical heritage. As of 2013 he was still performing at jazz venues in Edmonton and conducting pops concerts with orchestras throughout Canada.